So you have been searching all day for perfect LG Rumor Touch LN510 accessories and you just can't seem to find what you need. Well have no fear as you have just entered the accessories super store. No matter what device you use we have it covered, in our huge selection of accessories. If you're looking for unique cases or colorful covers we have it. We have a monstrous selection of chargers and batteries for pretty much any make or model. 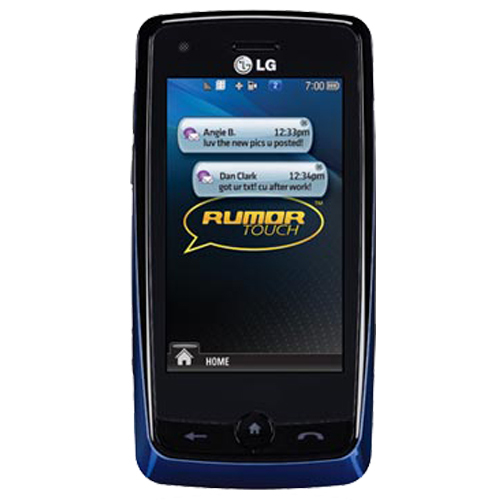 So if its LG Rumor Touch LN510 accessories you seek, seek no more friends. Find yourself perfect accessories just below, simply select your device and you're off.